Training got ya down? Speed it up while increasing productivity overall. Our user-friendly software is easy to learn and even easier to manage! At Seattle Tech we celebrate differences! Conferences are like snowflakes – no two are the same. 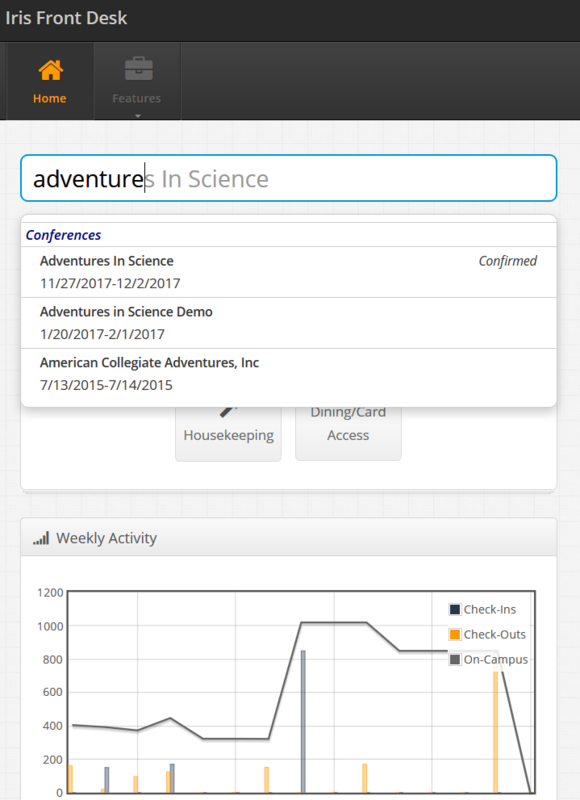 Customize check-ins to best suit each of your very unique conferences. Let the celebration continue! The world is your oyster! Free yourself from the desk with remote check-in/-check-out. With access to the cloud and an attractive mobile version, our software will really take you places. When making assignments your staff can review the name and gender of guests already assigned to a space with an open bed. 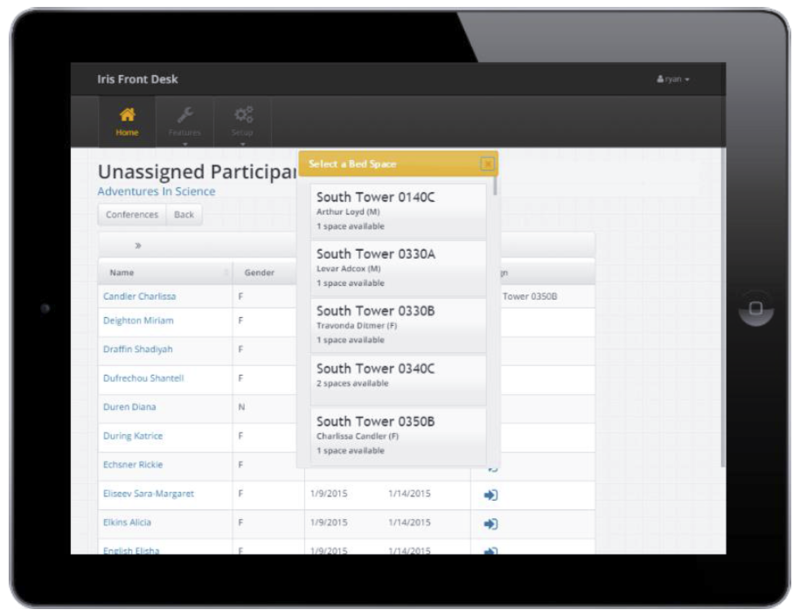 Easily find and assign vacant space quickly, and never double-book again! Our in-depth search allows your staff to get to the information they need as quickly as possible, shortening lines and wait-times for your customers. 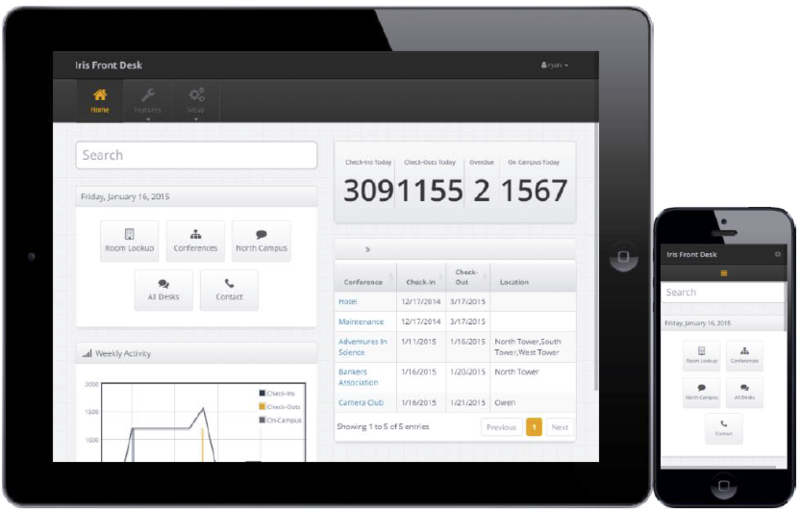 Iris Front Desk utilizes an HTML5 display interface that automatically adapts to the type of device or web browser on which it is displayed. Central repository for guest and group info.